Knowing how to play a musical instrument is your asset. It is a skill that you possess of which no one can take away from you. The same is true for knowing how to strum your guitar well to come up with beautiful music. You will find it difficult to learn the guitar, especially when you are just starting out. However, you should know that learning to be able to play it is not enough. You must examine the ways on how to learn effectively before you even plan on mastering your favorite song. When you do so, you will be able to know the right way of playing and practicing any song on your guitar. What’s more, it is possible for you to master a song in a faster way. If you think you have been learning for too long but are not making any progress, below are some of the most important things that you ought to do to improve your learning process. Apart from knowing the essential parts of your guitar, it is essential for you to learn how to play the instrument properly. You should observe the right posture as this can primarily prevent you from experiencing any unnecessary body pains or aches. Make sure that you know how to hold and use the pick. It is also vitally important for you to learn not only the right way of holding the instrument but also the correct way of strumming the strings. Yes. It is not enough that you only know a little when it comes to the rudiments of guitar playing. It is a good idea to learn as much as you can about chords, arpeggios and scales as well. Oftentimes, insufficient knowledge on such music patterns is what hinders most guitar players’ progress. Most importantly, make sure that you reserve a specific amount of time for your sheet music reading practice on a daily basis. The song that you wish to play will sound ridiculous if you are not conscious of the rhythm at all. It goes without saying that you must learn to count so that you can get the correct rhythm. It needs a great deal of practice on your part, but it will eventually pay off. Buy a metronome, and use it during your practice time as it will help you get the right tempo. Any beginner-level guitar player or even an advanced-level guitar player would agree that it is quite tempting to play fast right from the very start. It is not a good thing since it will affect your playing in a wrong way. However, when you practice in a slow tempo, it is easy for you to remember the proper phrasing. It will make your playing sound clear and beautiful. Familiarization is one of the keys to be able to play your guitar music pieces more accurately and beautifully. That explains why it is a good idea to listen to the songs that you wish to play over and over until you are quite familiar with the songs. 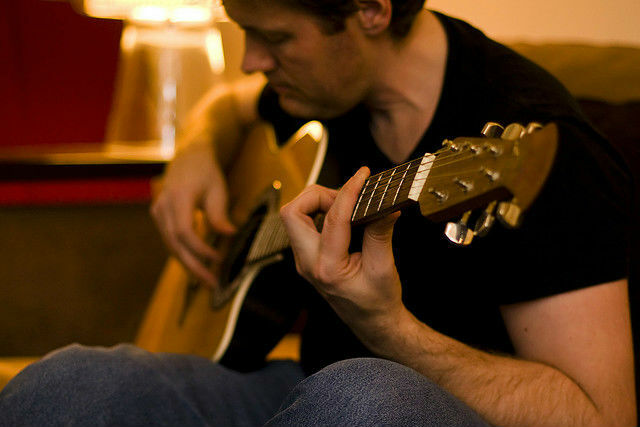 This practice will influence the way you play those songs on your guitar. It can also speed up your learning process. As you listen, take note of the rhythm and the patterns used in the songs. As you are practicing a song, you might be tempted to stop in the middle or right after playing the first part. In other words, you only represent a small part of the entire song but not the complete piece. The reason for this is because the song becomes challenging to play as it progresses. However, you must not get discouraged or intimidated by the problematic patterns of the song; instead, you should consider it a challenge to continue playing the song until the last part. When you do so, your confidence will not only increase over time, but you will also become familiar with the different patterns eventually. 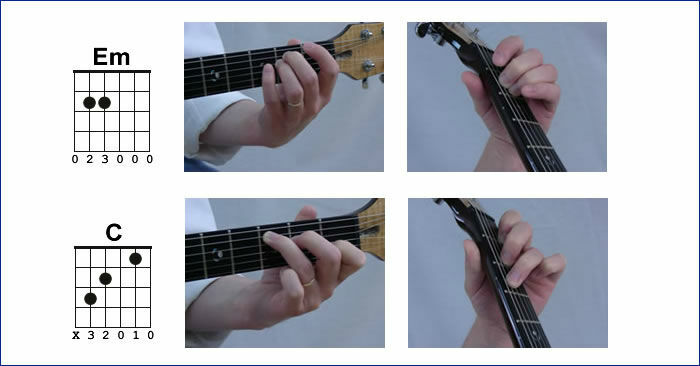 When you are practicing a particular piece or while playing a song, it is easy to get distracted. Your mind then starts to think of other things. As a result, you are not able to focus your mind merely on what you are playing, which cannot help you learn better. If you want to learn effectively, be determined enough to discipline yourself to concentrate more on the song that you are practicing or playing. You can take your guitar playing to the next level by merely playing with a guitar-playing friend. The thing is you will gain some new ideas or playing techniques from your friend. The good part is that you can learn from each other. You should make it a point to meet at least once a week to play together. During the learning process, there may be times when you do not feel like practicing because you may either feel tired or get discouraged. You should know that this is natural. However, you should make use of such times very wisely by reading topics about new guitar-playing techniques, biographies of famous guitar players, how to play well and other related issues. By doing so, you will not only learn more ideas about guitar playing, but you will also get the motivation that you need to keep going. In conclusion, the previous suggestions will tremendously enhance your playing ability. However, you have to keep in mind that you cannot expect to make progress unless you apply them on a regular basis. Moreover, do not just depend on the suggestions in this article, be sure to find out about the other ways that will also help you learn to play your guitar much better.